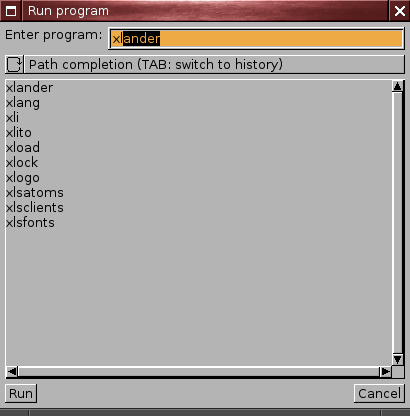 Runner is free software released under the GNU General Public License V2 or later. Runner is (C) 2012 Ralf Hoffmann. 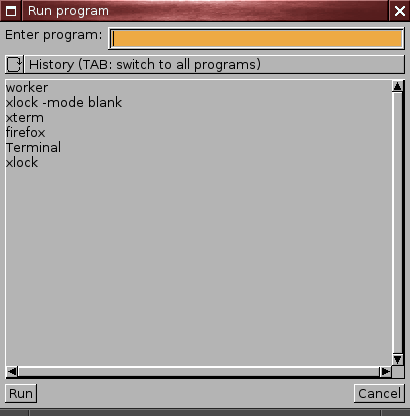 The current release is Runner 0.2 (276 kB) (signature) from 2012-06-10. Any number of these entries can be added. 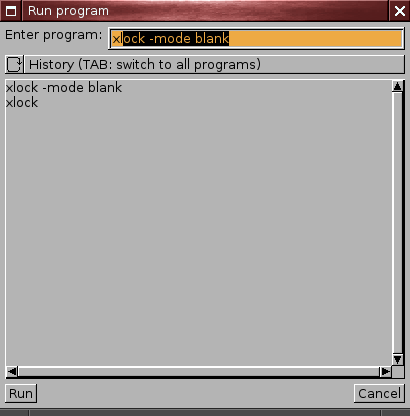 Just execute "runner" or bind it to some key in your favorite window manager.